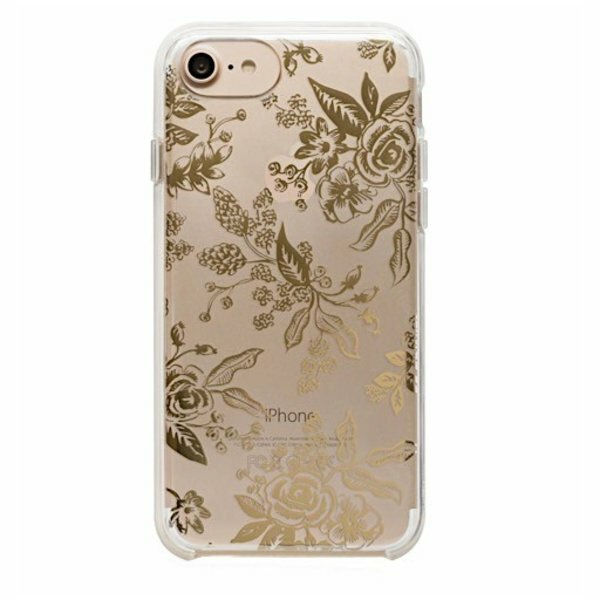 Dress up your phone with this stylish case by Rifle Paper Co.! Made from an ultra slim hard shell with a rubber bumper, this case offers extra protection without too much bulk. Fits the iPhone 6/7/8. Hard clear plastic case with rubber bumper.